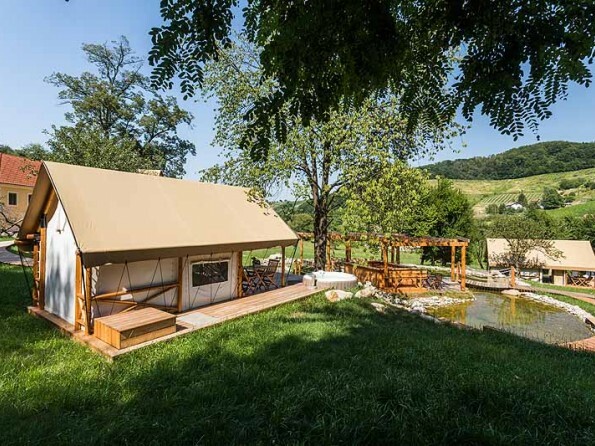 Within 15 hectares of rolling green hills and vineyards you will find Chateau Ramsak, a luxury glamping resort set within the grounds of a vineyard located in Slovenia's picturesque wine region of Styria. 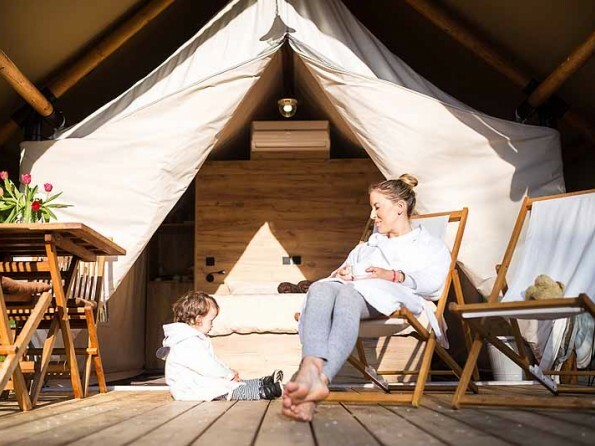 Get back to nature, relax in luxury and enjoy homemade wines and beautiful authentic surroundings. 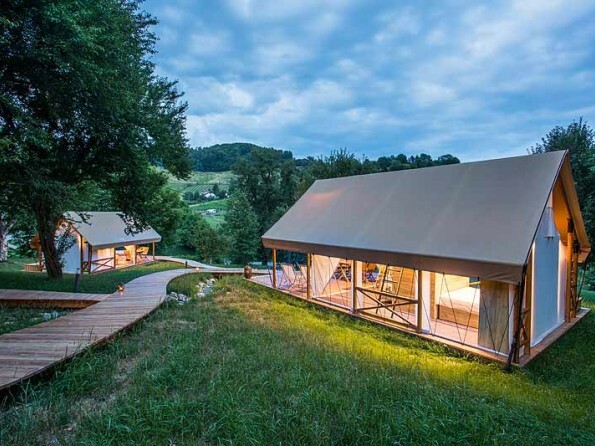 On site are 6 safari tents (of varying sizes) and 1 treehouse. 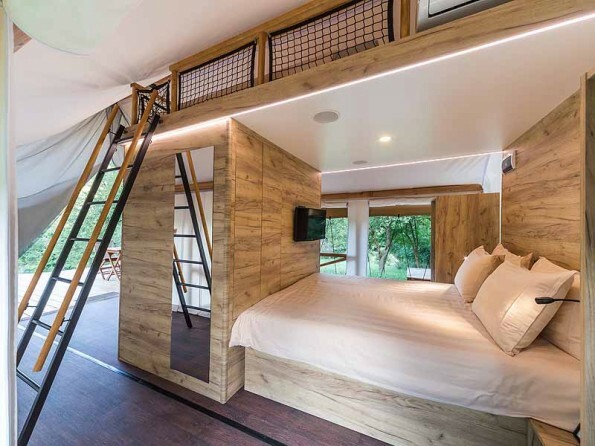 The site can sleep up to 20 people in total. 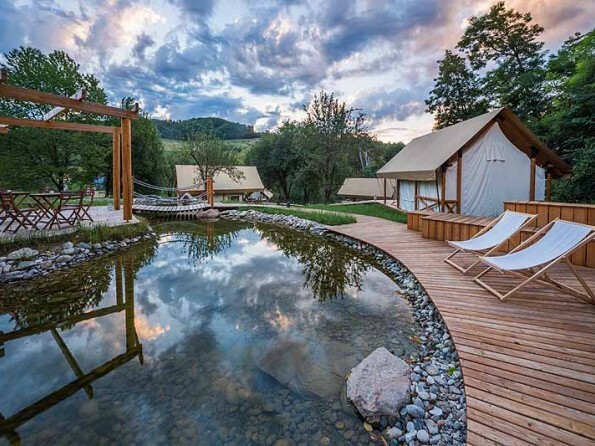 If you’re looking for something a bit special then this hidden gem in the vineyards of the stunning Stajerska region could be just the place. 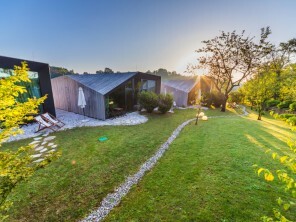 The location - within one of the loveliest and most untainted parts of Slovenia – is undoubtedly exceptional, and the delightful city of Maribor is just moments away. 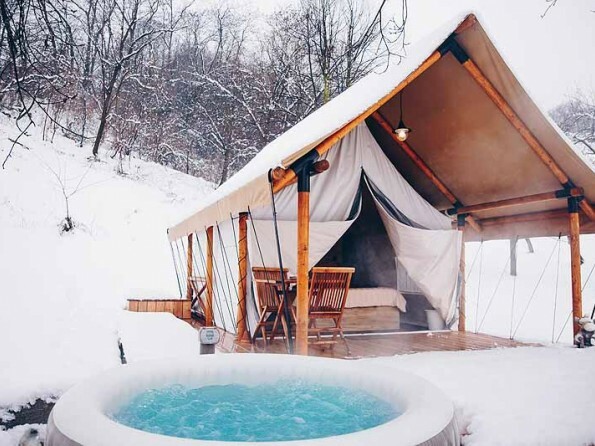 And the resort itself is magical, with accommodation in safari tents or a tree house, and abundant peaceful spots in which to unwind and enjoy the scenery. 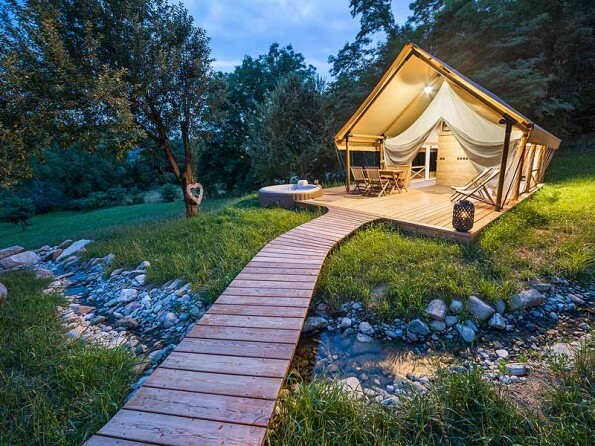 Come and experience the real Slovenia in style. 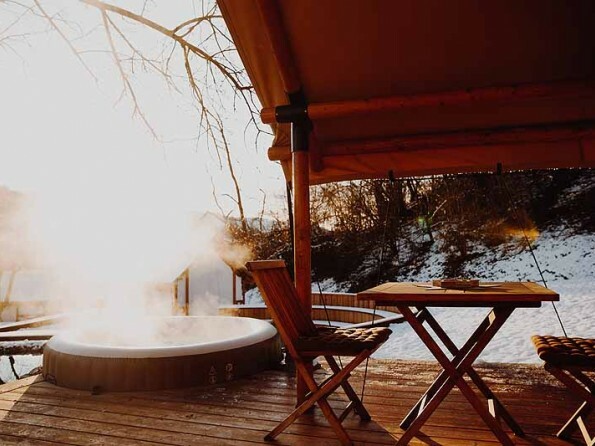 A wonderful spot for a honeymoon - you can curl up together on the terrace, relax in a private jacuzzi, admire the stunning views, and explore the vineyards. Romance personified. 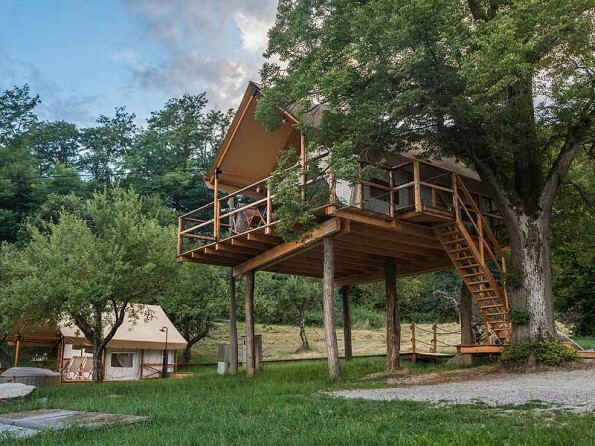 Glamping Chateau Ramšak is set in one of the most beautiful and untainted parts of Slovenia. 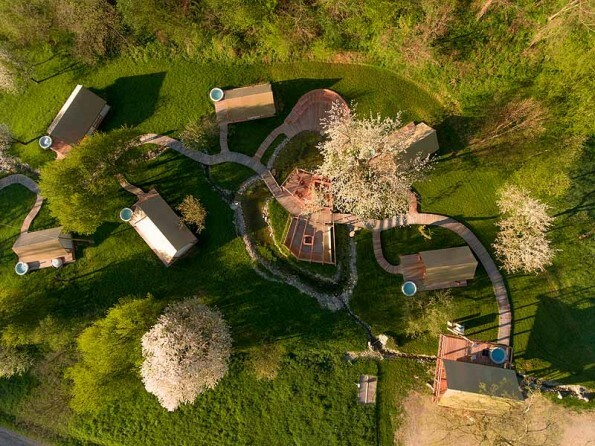 It covers 15 hectares, encompassing rolling green hills and vineyards, and is exceptionally located in the middle of the Štajerska region and just a short distance from the beautiful city of Maribor. 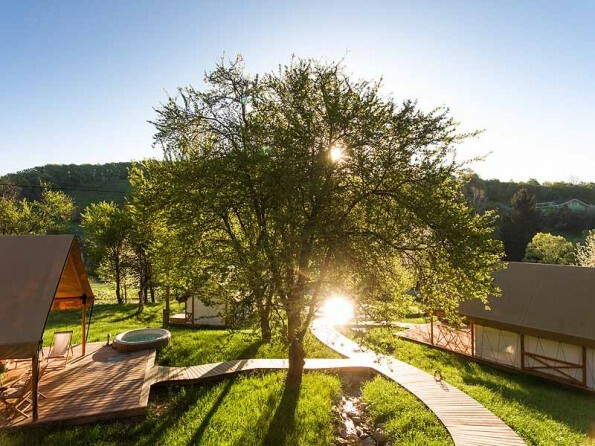 On site you can relax in a small bar by a natural pool, or do a wine tasting of the wines which come from the Ramšak Estate. In our wine cellar we have different types of wine: Muscat, Slyvaner, Pinot gris, Welschriesling, Chardonnay and Sauvignon. The chateau is home to the largest wine press in Europe. 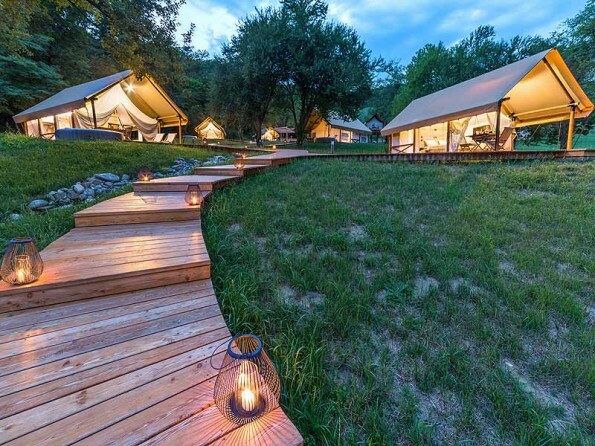 You certainly won't be roughing it with a stay in one of the tents or treehouse. 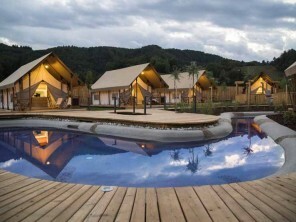 All are equipped with bathroom, beds, TVs, wifi, private terrace and jacuzzi tub. 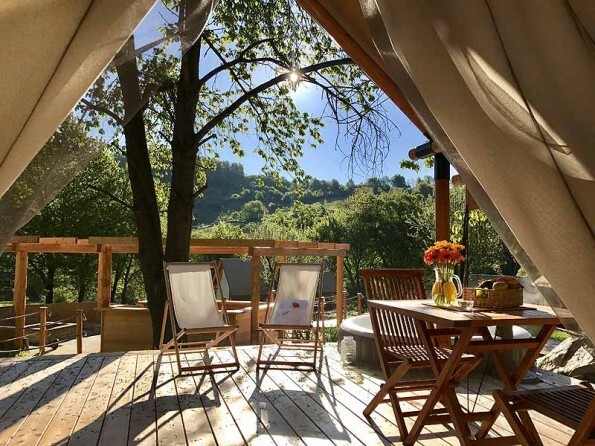 Those in search of ultimate decadence should stay in the Tree House, a tent-shaped treetop hideaway with two bedrooms, a bathroom, a television, air-conditioning/heating and views over the vineyards. 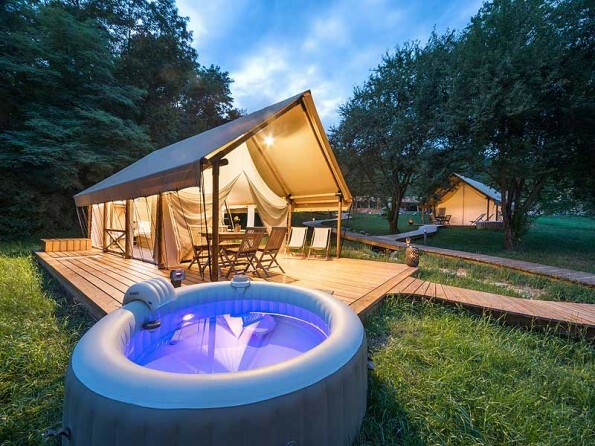 Alternatively, go for an elegant Safari Tent, each of which has either one or two bedrooms, a bathroom and a television. The larger tents have a dining room either outside or inside, smaller tents have dinning facilities (table, chairs) outside of the tent. Interiors throughout are refined, charming and designed to make you feel at home. 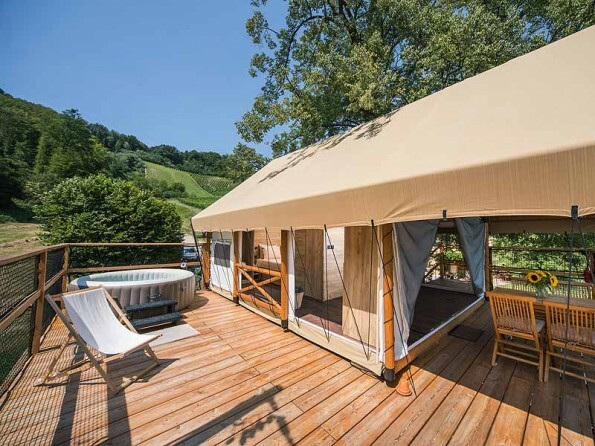 Every Tree House or Tent boasts a terrace with a private Jacuzzi. On site there is a natural pond with a small bar. There is an outdoor cinema where guests can watch films or children's cartoons, or which you can use for business meetings and presentations. There is a bonfire by the pond which is a lovely place to sit with a group of friends of an evening. The price includes accommodation, use of private outdoor jacuzzi, breakfast, towels and bed linen, room cleaning, wifi, air con, heating, TV, parking, VAT. Tourist tax is an additional cost of 1,27 € / per adult person / per night; children 7-18 years 0,64€ / per person / per night. Check in from 2pm, check out by 10am. Dinner, drinks, transfers, tours and activities all available at an additional cost.